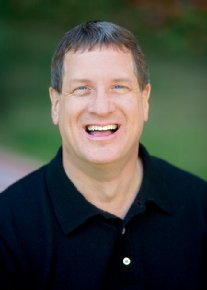 Lee Strobel: HOW APOLOGETICS CHANGED MY LIFE! Skepticism is part of my DNA. That’s probably why I ended up combining the study of law and journalism to become the legal editor of the The Chicago Tribune–a career in which I relentlessly pursued hard facts in my investigations. And that’s undoubtedly why I was later attracted to a thorough examination of the evidence–whether it proved to be positive or negative–as a way to probe the legitimacy of the Christian faith. A spiritual cynic. I became an atheist in high school. To me the concept of an all-loving, all-knowing, all-powerful creator of the universe was so absurd on the surface that it didn’t even warrant serious consideration. I believed that God didn’t create people, but that people created God out of their fear of death and their desire to live forever in a utopia they called heaven. I married an agnostic named Leslie. Several years later she came to me with the worst news I ever thought I could get: She had decided to become a follower of Jesus. My initial thought was that she was going to turn into an irrational holly roller who would waste all of her time serving the poor in a soup kitchen somewhere. Divorce, I figured, was inevitable. Then something amazing occurred. During the ensuing months, I began to see positive changes in her character, her values, and the way she related to me and to the children. The transformation was winsome and attractive. So when day when she invited me to go to church with her, I decided to comply. The pastor gave a talk called “Basic Christianity” in which he clearly spelled out the essentials of the faith. Did he shake me out of my atheism that day? No, not by a long shot. Still, I concluded that if what he was saying was true, it would have huge implications for my life. That’s when I decided to apply my experience as a journalist to investigating whether there is any credibility to Christianity or any other faith system. I resolved to keep an open mind and follow the evidence wherever it pointed–even if it took me to some uncomfortable conclusions. In a sense, I was checking out the biggest story of my career. At first, I thought my investigation would be short-lived. In my opinion, having “faith” meant you believed something even though you knew in your heart that it couldn’t be true. I anticipated that I would very quickly uncover facts that would devastate Christianity. Yet as I discovered books by atheists and Christians, interviewed scientists and theologians, and studied archaeology, ancient history, and world religions, I was stunned to find that Christianity’s factual foundation was a lot firmer than I had once believed. Much of my investigation focused on science, where more recent discoveries have only further cemented the conclusions that I drew in those studies. For instance, cosmologists now agree that the universe and time itself came into existence at some point in the finite past. The logic is inexorable: Whatever begins to exist has a cause, the universe began to exist, and therefore the universe has a cause. It makes sense that this cause must be immaterial, timeless, powerful, and intelligent. What’s more, physicists have discovered in the last 50 years that many of the laws and constants of the universe–such as the force of gravity and the cosmological constant–are finely tuned to an incomprehensible precision in order for life to exist. This exactitude is so incredible that it defies the explanation of mere chance. The existence of biological information in DNA also points to a Creator. Each of our cells contains the precise assembly instructions for every protein out of which our bodies are made, all spelled out in a four-letter chemical alphabet. Nature can produce patterns, but whenever we see information–whether it’s in a book or a computer system program–we know there’s intelligence behind it. Furthermore, scientists are finding complex biological machines on the cellular level that defy a Darwinian explanation and instead are better explained as the work of an Intelligent Designer. To my great astonishment, I became convinced by the evidence that science supports the belief in a Creator who looks suspiciously like the God of the Bible. Spurred on by my discoveries, I then turned my attention to history. I found that Jesus, and Jesus alone, fulfilled ancient messianic prophecies against all mathematical odds. I concluded that the New Testament is rooted in eyewitness testimony and that it passes the tests that historians routinely use to determine reliability. I learned that the Bible has been passed down through the ages with remarkable fidelity. However, the pivotal issue for me was the resurrection of Jesus. Anyone can claim to be the Son of God, as Jesus clearly did. The question was whether Jesus could back up that assertion by miraculously returning from the dead. One by one, the facts built a convincing and compelling case. Jesus’ death by crucifixion is as certain as anything in the ancient world. The accounts of His resurrection are too early to be the product of legendary development. Even the enemies of Jesus conceded that His tomb was empty on Easter morning. And the eyewitnesses encounters with the risen Jesus cannot be explained away as mere hallucinations or wishful thinking. All of this just scratches the surface of what I uncovered in my nearly two-year investigation. Frankly, I was completely surprised by the death and breadth of the case for Christianity. And as someone trained in journalism and law, I felt I had no choice but to respond to the facts. So on November 8, 1981, I took the step of faith in the same direction that the evidence was pointing–which is utterly rational to do–and became a follower o Jesus. And just like the experience of my wife, over time my character, values, and priorities began to change–for the good. For me, apologetics proved to be the running point of my life and eternity. I’m thankful for the scholars who so passionately and effectively defend the truth of Christianity–and today my life’s goal is to do my part in helping others get answers to the questions that are blocking them in their spiritual journey toward Christ. *SOURCE: The Apologetics Study Bible. Nashville, TN. : Holman, 2007, pp. xxvi-xxvii.